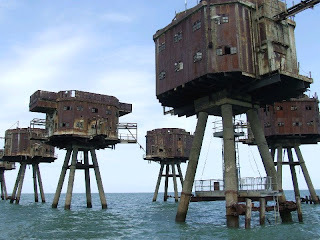 This set of tower forts off the Medway Estuary, along with Shivering Sands and Nore Sands (now removed), were constructed at the beginning of World War II as an Anti Aircraft Battery. 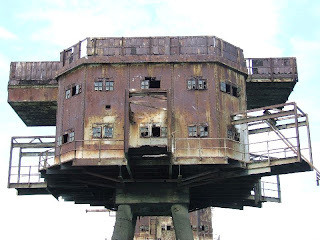 The towers orginally had guns placed on the top and the lower rooms, which were used as accomodation, were linked by a gangway. 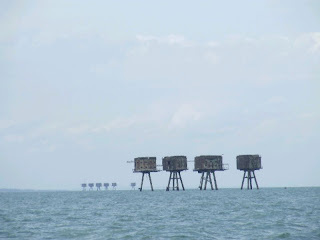 The forts were decommisioned in the 1950s, but saw use during the 1960s as the base of a number of pirate radio stations. 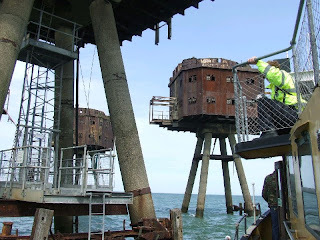 Unfortunately, due to weathering and damage from the sea, they are in poor condition and the gangways between the forts have completely rusted away. 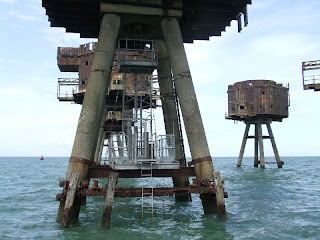 The future looks promising as Project Redsand have taken over and are maintaining the forts for use as a radio station. 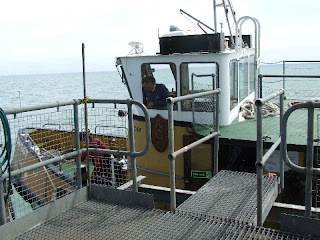 Boat tours to the forts are available through Bay Blast and the X-Pilot boat. 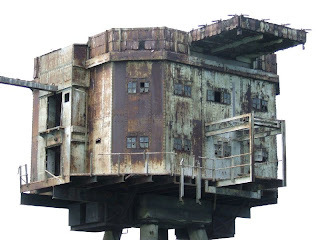 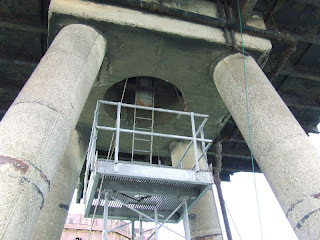 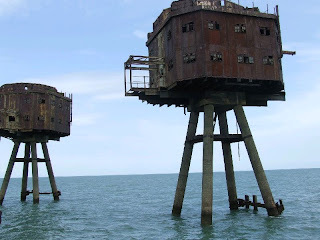 ive always loved the Maunsell Sea Forts i cant wait to go out and visit them.